Demystifying Web Maintenance for Clients - CTRL+CLICK CAST - We inspect the web for you! Your browser doesn't support HTML5 audio, and won't play Demystifying Web Maintenance for Clients. You can download this episode to play on your preferred media device, or you can read our transcript. Surprise! We decided we needed another episode in our Demystifying the Web series. This time, we talk about web maintenance in client-friendly terms. We focus on how to help clients plan and budget for the life of their website and CMS, as well as how to explain different types of maintenance to clients. Using car and home maintenance analogies, we share examples of the maintenance services we provide our clients — including accessibility and performance audits, CMS updates and upgrades, and even site refreshes and redesigns. Lea Alcantara: So just like a house or a car has to be maintained, if you want it to run well and last, you need to maintain your site. Keep a house safe and comfy to live in. Emily Lewis: And just like keeping up a house, it’s going to cost money. Emily Lewis: And it will take time and energy, but maintenance costs are far less than the cost involved in fixing a broken site or a hacked CMS. Emily Lewis: Just like it’s cheaper to get an oil change every 3,500 miles versus replacing your engine because you didn’t get an oil change. Lea Alcantara: Yeah, that’s painful. This episode is also sponsored by Arcustech, who hosts this very show! Have their expert technical team manage your servers so you can focus on working on your client sites. They also happen to be an official Craft CMS hosting partner with various plans optimized for that, and they just expanded their servers to the EU. Sound good? Take 15% off the first three months of your single or multi-server monthly plan with the discount code CTRLCLICK103. We will spell it out in the show notes. It’s valid until the next episode airs so sign up today. Emily Lewis: Before we get into today’s episode, I want to remind our listeners that we have a donate link on our site. So if you love CTRL+CLICK and have a little spending money, consider donating to help us to keep the show going. A dollar, five dollars, whatever you can spare will help us continue to deliver great content, high-quality audio and transcripts for each and every episode. Now, to today’s topic. Lea Alcantara: So today’s topic is kind of almost an addition that we didn’t think of initially. Emily Lewis: Yeah. 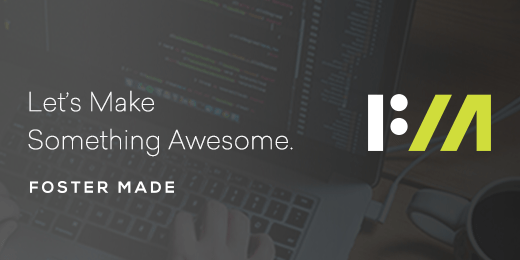 So we started this Demystifying series and we knew we wanted to do design, development and CMSs and that’s what we did, and we thought we were done, and then we realized that there was one more area we wanted to talk about, web maintenance. Lea Alcantara: So while our clients go to us for these websites, just to execute these websites, a lot of the time they don’t quite understand that a website is a living thing. It’s not just one and done and you just let it go. Lea Alcantara: And that’s why we want to talk about web maintenance today. Emily Lewis: But before we do that, let’s start off with why we’re doing this series in general, especially for those of you who may not have tuned into the three previous episodes. Lea Alcantara: Absolutely. So I mean, 98% of the time, our clients and prospects we talk to don’t understand the technicalities of a website. Lea Alcantara: And they shouldn’t really. They need to understand their business and they turn to us to handle the website, and throughout that process we’ve learned and we’re still learning that when we talk to our clients or prospects, we need to avoid getting technical because more often than not, talking about tech and feeding them acronym soup just leads to misunderstanding, and that is really what underscores all of this. Talking tech with non-tech people can cause intimidation, and that’s really not good for a working relationship. Emily Lewis: And so with this series we’re really sort of trying to bridge our understanding as technology experts with something that our clients can relate to and specifically focusing on how it benefits their business. Emily Lewis: And so in this series, we wanted to share what we learned in talking to our non-techie clients about websites and web projects because we really think it can empower clients during a process that can be really confusing for people, and on top of that confusion, it has high stakes. Emily Lewis: A website is a significant investment, even if it’s a small brochure site for a small business owner, that is still a significant investment for that business, and so focusing on good communication at the start really sets the tone for how we want to communicate throughout the projects. We want the client to feel, or even the prospect before they are a client to feel that it’s really easy to talk to us. Emily Lewis: That we are talking in terms that they can relate to that is focused on their business versus trying to show them how smart we are with all the technical jargon that we know. Emily Lewis: And then I think that that’s all a benefit to a client and arguably to an agency or a freelancer who wants long-term clients because it really helps clients understand your value. They don’t just know you built them a website. They understand that you’re working with them and that you’re not just off building something and then coming back to the table with a product, that it’s a process and a relationship. Emily Lewis: In fact, Lea, you were just at EE Conf. Emily Lewis: And you talked about this. I’m putting you on the spot right now because I hadn’t asked you yet. Emily Lewis: But how was your talk, because you talked about how to talk human to a client? Lea Alcantara: Yeah, absolutely. I think it went well. I had a really good feedback from the audience about how the talk went and I think part of the reason why it went well is that it was a necessary conversation. Lea Alcantara: And while like everyone in the audience is pretty confident over their technical skills, a few people came up to me and said like, “I really need to be better at explaining why I invest this much time in learning my craft and how it relates to their organization because designing and developing for the sake of developing is not enough. Emily Lewis: Yeah, not at all. There has to be a purpose to it and most of us, I mean, the people we have the pleasure of talking with on this podcast and getting to know at conferences are really invested in their trade, in their craft, so they do tend to see the bigger picture, but are they taking the time to communicate that to their clients? Lea Alcantara: And only one person lifted their hand, and I don’t know what that person’s history is, but that really underscored the fact that we all make these types of decisions and we don’t want to be put in a position where we feel uncomfortable, so why should we put our clients in the same position? Emily Lewis: And I don’t know if you had time at the end to get any audience stories. Did that happen? Lea Alcantara: And usually there’s a third party involved asking for some technical request to do some magical thinking, in my opinion, over how to implement something to make SEO work. Lea Alcantara: And the bottom line though and I pushed back is even though I understand, I know everyone here listening understands where I’m going to go with this, it can be annoying when someone who isn’t the subject matter expert like we are in development or the web tries to tell you how to do your job. Lea Alcantara: Like you have to push back. You have to learn to push back and have them explain what the process is, because at the end of the day I’m thinking about our own particular client. Lea Alcantara: Right. At the end of the day, it wasn’t an SEO situation. It was a user interface-user experience situation, and the solution was not some weird hack that this SEO person requested us to implement. The solution was moving and changing the layout so the call to action was more prominent. Lea Alcantara: And that was it, and if we weren’t responsible professionals and ask the whys and put ourselves in the position where we considered the business goals and we just simply executed, because it’s easy to execute. Lea Alcantara: That’s what we’re good at. But taking the time to pause and figuring out “is this necessary and is this in line with the business goals or organizational goals of your clients” really helps in the long way, and at the end of the day, our client “sided.” It’s hard to like really explain because I don’t know if there’s like a versus kind of thing, but the bottom line is, our client listened to us because we understood the problem. Emily Lewis: They went with reasoned business information, you know? Emily Lewis: They went with their own side because that’s the solution that gets them the overall picture that they need. Lea Alcantara: Right. We articulated it in terms they understand. Emily Lewis: Yeah, that’s the whole point of this entire series. Lea Alcantara: So if you haven’t tuned into the first three episodes of this series, definitely add them to your queue. We did take a bit of a waterfall approach to the discussion and we started with design and then we continued to front-end development and then CMS development. In our design episode, we discussed web design in terms that anyone could relate to. We defined information architecture, which is IA, which is an acronym that Emily used earlier, user experience (UX) and even the process of web design all from the analogy of and perspective of building a home. So for example, we tell a client IA is like working with the architect to figure out, one, what rooms you need, and two, where they should go like where do you want the kitchen to be, where do you want the bathrooms, and specifically where these rooms need to be in relation to each other so the experience with your home makes sense. Do you need easy access between the kitchen and the dining area or maybe you need the kitchen closer to the laundry room? Who knows? It’s all dependent on the goals. Then we’d explain to the client that for a website, IA is the process of figuring, one, what content you need like texts, video, images, et cetera, and two, how that content should be organized including in relation to each other. Emily Lewis: And then as Lean mentioned, our next episode in this series focused on front-end development, and in that episode we tried to make sense of the acronym soup that so often confuses clients; HTML, CSS, JS, SEO, RWD, and we tried to define those acronyms in relatable terms using car analogy. Emily Lewis: For example, we’d explain to a client that HTML is like the components of a car, the hood, the doors, the tires, et cetera. These have to be defined before you can do anything to them, like decide on the color or the seat material, and that would be CSS or the look and feel of the car. So for a website, HTML is the components of your site; headings, photos, videos, body content, whatever you have. You’d define that and then you use CSS to say what typeface and color is used for text, what the HTML should look like. Lea Alcantara: And so this was a little bit out of the box. We used the pizza party analogy. Lea Alcantara: And so the same is true in choosing and building a CMS, we want to know all the different content ingredients of your site, whether it’s just texts or photos or videos or forms or more, and that way we make the CMS that’s exactly what you want. Emily Lewis: Yeah, and I think other than providing you a recap of what we’ve done in this series so far, I think it also illustrates that it is really possible to talk about what we do as web professionals in terms of anyone can understand, like you really can find almost anything that’s common to living on this planet to explain it, whether it’s gardening or cooking or if you want to talk about it like having things, like having a car, having a house. So you really can find something that your client really relates to and find a way to put the work you are doing in terms that are going to connect with them. Obviously, if you were fortunate enough to have a client who’s homebuilder, you’ve got some really easy analogies, but we’ve had clients who are lawyers or financial consultants and so we worked to try and put things in terms that they’re going to relate to that way. Lea Alcantara: And that was an example of how to take something that’s abstract and maybe difficult to explain in terms that we could understand. Emily Lewis: And instantly connected. Lea Alcantara: Oh yeah, absolutely, and that’s what we should do as web professionals. Emily Lewis: But we may come up with something else that occurs to us later. But as I mentioned at the outset, I don’t think we’ve been as good at talking about maintenance to our clients, particularly when we should. Emily Lewis: I think it’s something that comes up after we launch, but I think after preparing for this episode in just some of the last projects that we’ve finished up, I really think maintenance should be talked about from the beginning. Lea Alcantara: [Laughs] Yeah, absolutely, but I think the first step is defining what maintenance is. What is maintenance when it comes to websites? Lea Alcantara: So Emily, you already kind of mentioned that it’s important to impress upon clients how important it is to maintain your site, but it’s also important for our industry to know that a website is a living thing. Lea Alcantara: It has a lot of moving parts, and it might not be visible. You can’t maybe see it, but computers and software age quickly, and I think the easiest example is that there is a new iPhone every year, a new smartphone of different brands, of course. Lea Alcantara: But believe it or not, that actually affects your website. Lea Alcantara: And at its simplest definition, web maintenance is making sure that what your website has and what you’ve launched stays as secure, stable and as fast as it can be. So what does that mean? To achieve that goal, there’s a few ways you can maintain a site. The obvious one I think for most of our listeners would be CMS software updates, how often are you going to be making sure that the add-ons and the core software is its latest version. Lea Alcantara: Another thing that’s important are server and hosting updates, because not only is the software that you’ve installed important, what about the underlying system that runs that software, that also needs to be updated on a regular basis, and are you checking that? Lea Alcantara: And especially nowadays, speed and security is important to keep top of mind and making sure that your site is still working as best as it can be. Lea Alcantara: Techniques that used to work in the past, code that used in the past, that seemed to be fast, may not be over time, right? Lea Alcantara: But beyond how technology ages, it’s also how the business evolves, right? Lea Alcantara: Any successful nonprofit or business evolves in some level, right? Lea Alcantara: Their digital presence, including their websites, need to reflect that, so maintenance can also be viewed as more than just updates and the tests that I mentioned. For example, what about full-on CMS upgrades or migrations? Lea Alcantara: Or even site redesigns and refreshes? Emily Lewis: And I think our previous analogies really work great for this maintenance topic because I think most of our clients will understand having to maintain where they live or what they drive. Emily Lewis: So for example, keeping CMS software up to date is like getting your annual termite inspections on your home. The inspection helps prevent termite damage and also often dry rot at the same time on a home, and up-to-date software helps prevent hackers from getting access to your site, the termites of a different kind. Lea Alcantara: Right. [Laughs] Or how about a car analogy, keeping CMS software up to date is like taking your car in when there’s been a recall. Lea Alcantara: Without it, your car won’t perform as well and you could even be in danger. Similarly, your site won’t perform as well and your data could be at risk if you don’t update your CMS software regularly, especially when the update includes the security patch. So now that we’ve got all of that out of the way, how do you plan for maintenance? We’re going to continue with these analogies to address the why and the client benefits of specific types of maintenance, but before we get to those types with a client, I think it’s a good idea to introduce the concept of maintenance from the perspective of how business or nonprofit might budget and plan for it, and then you can get into specifics that are relevant to a client. Emily Lewis: Yeah, I agree. I came across this really good article on Medium from Mike Schwartz. It’s not a name I recognize, but the piece is called “How long should your website last?” And it really just introduces this site maintenance and site longevity in specific time frames that a client could easily plan around because honestly in our experience, if our clients can plan and budget for it, they do make it happen. Emily Lewis: Which, again, why I think maintenance should be talked about from the beginning. I don’t agree a 100% with some of the time frames he suggested in the article, but I don’t think it’s really a prescriptive approach. I think taking this approach to planning for maintenance is really a guideline, and so even the suggestions we’re going to make today may not align one to one with your clients in terms of the specific time frames, but I think you might see your own where maybe instead of our monthly suggestions, you might see those as maintenance that might be every three months, whatever it works out. Emily Lewis: With that in mind, you could talk to your clients about web maintenance that they should expect every month. For CMS clients, software should be monitored for updates, especially those with security patches like Lea just mentioned, and not just the core software, we’re also talking about add-ons. Lea Alcantara: Absolutely, I mean, some clients can certainly monitor this on their own. Lea Alcantara: But we also stay up to date on their behalf and inform them when updates are relevant to their installs. This is just a courtesy, a professional courtesy, just something we do, and when it comes to actual updates, when we’re talking about CMSs like ExpressionEngine that has multiple step updates, we handle those for our retainer clients. Lea Alcantara: But for clients on CMSs with one-click updates, I think it’s like an oil change. Your client can do it themselves, but a client could also have you do it for them. Lea Alcantara: In fact, we actually have one client on Craft, which a lot of people listening know has that easy one-click update most of the time, which she doesn’t want to worry about it. It gives her a little bit of anxiety I think when we first were talking to her about maintenance and things like that so she was very willing to go on a maintenance retainer so that we can take that anxiety off her plate. Lea Alcantara: So now we have an annual retainer to check her Craft install for updates at least once a month. Emily Lewis: But it just underscores that if you’re thinking, if you really understand your client on what’s important to them and their business, you would know there are some of your clients where this would make sense. They don’t want to worry about it. They would be able to budget for a retainer for that peace of mind. Emily Lewis: Another thing that could be a monthly maintenance for clients with WCAG requirements. That’s the Web Content Accessibility Guideline requirements. A monthly content accessibility audit is a really good idea, and it’s also like what Lea said, an oil change your client could do themselves, but could also be part of a monthly retainer arrangement. Lea Alcantara: So we have a client who needs to be a WCAG 2.0 AA in order to receive federal funding and they have a CMS where many different staff members update and change content every day, so making sure that content passes WCAG is critical, like making sure all images have alternative texts. Lea Alcantara: You could even combine this with an accessibility audit with HTTPS, making sure that the content that the staff added over the month is secure. Emily Lewis: Another option for monthly maintenance, especially websites with performance requirements, and I mean, frankly, these days what website shouldn’t be as fast as possible, monthly page speed monitoring is a really good idea. Lea Alcantara: Right. One of our clients really relies on digital campaigns that send a lot of traffic to their site at once so ensuring that the site doesn’t crash and is fast, even on mobile is a top priority. We have a monthly retainer relationship with this client that includes performance monitoring. We identify bottlenecks of problem areas and then fix them and then they kind of get the report at the end of the month. Emily Lewis: So those are the kinds of monthly maintenance that we’ve seen with our clients and that I feel like we want to introduce to our clients early on mentioning like the WCAG client. At the beginning of the project, we advocated that they set up internal processes for a monthly audit to make sure that the content is accessible and it passes. Emily Lewis: Because it’s not grey area, it’s pass/fail. If one thing doesn’t pass, the whole page doesn’t pass. Emily Lewis: So that’s something that they need to do on their end, but we could certainly provide as a retainer or if that was something you offered your client that something you could provide as a retainer service. Beyond a monthly approach, there’s also maintenance that your client could plan for every maybe eighteen months to two years, and I feel like the monthly maintenance we mentioned is pretty critical stuff, like if it’s not done every month, it should be done at least a couple of times a year. Emily Lewis: But the maintenance that you could do maybe every eighteen months to two years is less about critical functionality and making sure your site is fundamentally sound and more about leveraging new technologies while keeping the effort and budget pretty focused. So maybe, for example, a client has a new digital marketing plan and they need a faster way to create custom landing pages. Maybe their current CMS and site, they can do it now, but it’s slow and time consuming and they really can’t customize them much, so maybe adding a better content workflow to their CMS, whether it’s with an add-on or some custom development is a way to improve that process, to improve the CMS without actually redoing the CMS. Lea Alcantara: Yeah. Or maybe your client wants to add a way for their site visitors to customize the content that you see based on their interest, right? Lea Alcantara: And both these scenarios are just like home improvement, like getting a new appliance or changing up the light fixtures or it’s like even improving your car, like adding some high-end tires or a roof rack. These things aren’t necessarily critical, but it’s nice to have when the budget allows. Emily Lewis: And if you work with marketing departments, which we do a fair amount of with our clients, they’re always planning for the next year or the year after that, and so if you can talk about this sort of concept, maybe you can present it as Phase 2 of a project that will address in a year kind of thing, that can get them really excited because it’s something new that they can use in their campaigns, but it’s also something they can budget and plan for. Emily Lewis: And then I think the last type of maintenance that comes to my mind is really like the longest term maintenance, maybe every five years or when the time is right. I feel like this is like when you have a 20-year-old car like I do. Emily Lewis: It’s really time to get a replacement, and now that I think about it, the same is true for my oven. Emily Lewis: So the home analogy works here too. Lea Alcantara: So what this looks like in terms of the website could be a redesign. Lea Alcantara: But that could mean a complete rehaul or maybe it’s just a small refresh, right? Lea Alcantara: For example, five years ago, again, it was only five years ago, people didn’t care as much for design on phones, but now that the majority of people visit their site on their mobile phones, their mobile browsers versus desktop computers, it’s a reality to make your site mobile friendly now. Lea Alcantara: It’s the same thing with your brand. Even classic companies like Coca-Cola and Nike tweak their approach on presenting their brand, even though the fundamentals stay the same. Emily Lewis: I mean, it’s almost like brand maintenance. Lea Alcantara: Yeah. Oh, absolutely, absolutely, and your website is a major part of your brand. Emily Lewis: This long-term maintenance could also mean maybe even migrating to a new CMS. Five years is a really long time in the CMS world and tech is constantly evolving and improving, especially in the commercial realm. Moving to a “bleeding-edge” CMS, as one of our clients described Craft recently, [laughs] really may offer more benefits for the client. Emily Lewis: Maybe it’s either a content entry or better integration with Salesforce or greater control over page layout and design. Whatever the client needs as their business grows their website, and by extension, their CMS needs to grow with that, and when you hit that 5-year mark, growing by bolting on solutions becomes a problem. Emily Lewis: We are dealing with an almost 8-year-old site and CMS and the client is growing and changing and really expanding how they use their website and their digital marketing, and they’re not yet at the budgetary point to make a move to a new system. I cross my fingers we’re getting closer. Emily Lewis: But the reality is every new thing we’re building for them, frankly I’m having to follow old practices just to keep this system all feeling like the same system and easier to maintain. Emily Lewis: We’re not able to use today’s best practices. We’re not able to easily put in an add-on. We’re not even able to easily get them on HTTPS, like things require a lot more work when you’re trying to make an old system work like new, so that 5-year point may be time to really take a close look at whether your fundamental CMS and even website design is still serving those goals that the business has. Lea Alcantara: Right. And I think you just underscored one of the really important reasons why maintenance, in general, is important. The longer you put things off, the more expensive and time consuming it is to fulfill certain request. Lea Alcantara: And that makes it hard for us as vendors too if we haven’t been communicating well enough with our clients the importance of maintenance and then they have this request that they think, in their mind, is a “easy” or just basic request because their site is eight years old, it’s no longer as easy or basic. If their site was maybe six months older, at least, you know, or the system has been maintained to the point where it feels like a newer site, even though it’s an older site, then those types of requests are definitely less expensive, less time consuming and less frustrating for everyone involved. Lea Alcantara: I think that’s something that we need to impress upon our clients and even to ourselves, because right now we’re talking about how a headache it is for us to develop on older system. Can you imagine being an administrator trying to update pages in an old system when there are so many new features and better user experience in other systems, for example? Emily Lewis: And, “Sure, if this was a newer system, we really could just do those things, but it’s not, so it takes twice as long as you’d like it to,” and you know? Emily Lewis: And that is a hard conversation to have with someone who’s new and enthusiastic and just wants to get a bunch of stuff done. Lea Alcantara: And trying to remember that 8-year-old coding practices too, right? So it’s not just that the design and look and feel in the administration is gaining on its edge, but what used to be “best practices” eight years ago is harder to review and read and understand nowadays when you’re used to better practices. Well, the bottom line is it’s critical to educate clients that their website isn’t a one and done effort. It’s a living part of a business identity and it has to be maintained if it’s going to support business and organizational goals. So just like a house or a car has to be maintained, if you want it to run well and last, you need to maintain your site. Keep a house safe and comfy to live in. Lea Alcantara: Yeah, that’s painful, but if you communicate that to your client, a business can plan and budget for that, especially if we as a web partner give them the information they need in terms they understand to make informed decisions. Emily Lewis: And I think this is a part as much as it is as an opportunity to communicate better, it’s also an opportunity to further fine tune our sales processes. Emily Lewis: Like I said earlier on, we often introduce this idea of maintenance at the end of a project, but talking about it earlier on and getting a client set up on a retainer that’s going to suit what they need, having it ready to go as soon as that project launches versus honestly three months it takes of going back and forth to talk about whether you’re going to do a retainer after a launch is a lot easier, I think. Lea Alcantara: Right, and I mean, there are so many different ways you can tackle this. In this episode, we talked about monthly ways to maintain and certain check ins. It doesn’t necessarily have to be just that. Lea Alcantara: It could be something single serving like the CMS maintenance that we mentioned earlier, or it could be even simpler. At the end of the day, if you understand your client’s anxieties and their goals, then provide those services for them. Emily Lewis: And if you ask yourself like, “Well, how do I know their needs and goals,” just pay a little bit closer attention to what’s happening. For example, we have a client who’s been with us I think, Lea, since you and I partnered. Emily Lewis: And they’re normally self-sufficient, don’t need much. We update their CMS like once a year, but the past few months, some things have come up that they’ve needed some last-minute help for and we haven’t really had the availability to give them that like quick turnaround that we would like to give them so it introduces to us, “Oh, there’s something happening here that’s changing. Let’s introduce a retainer to them. Let’s see if they might be a good fit for a retainer now that they are actually encountering these situations where they do need our help more frequently and they do want it to be a quicker turnaround than we may typically have available.” And so just paying attention to that pattern, like they really weren’t a fit for a retainer arrangement prior to I think these latest things. Emily Lewis: But now, some things have changed and now we’re going to present it to them and see what happens. So you just have to pay attention to know what their anxieties are, to know what their problems are. Lea Alcantara: Yeah, absolutely, and for those tuning in, you guys should listen to our marketing episodes so that you can get tips on regularly checking in with your clients so that you can get a temperature check to see maybe they might be good fit for maintenance. Emily Lewis: All right, so I think that brings us to the end of today’s episode. We didn’t really cover any resources to share, but we will link to all the previous episodes in our show notes as well as Lea’s deck from her EE Conf presentation. Lea Alcantara: CTRL+CLICK is produced by Bright Umbrella, a web services agency invested in education and social good. Today’s podcast would not be possible without the support of this episode’s sponsors! Many thanks to Foster Made! 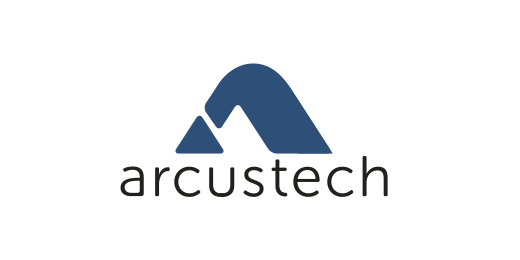 Emily Lewis: We also like to thank our hosting partner: Arcustech who wanted an extra shout out at the top of this episode. Emily Lewis: Don’t forget to tune in to our next episode when Vanessa Dewey joins the show to discuss how design thinking can help smash work inequality. Be sure to check out ctrlclickcast.com/schedule for more upcoming topics.